Hey all! 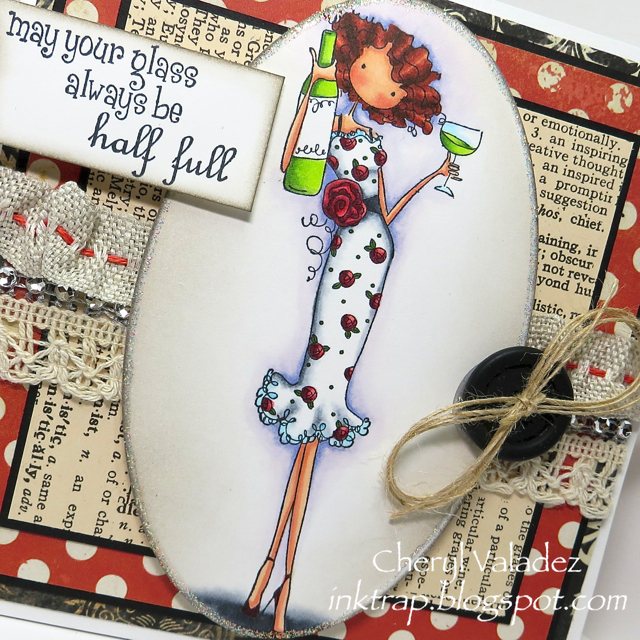 Back today with a card I should have posted for Bellarific Friday, but I lost track of time so you're getting a Monday card instead. As I'm typing this up, I noticed that I also forgot to color the label on the wine bottle. Oh dear, this card is just a comedy of errors. Last week we were tasked with using a sketch. I'm a big fan of sketches so that worked out perfectly. 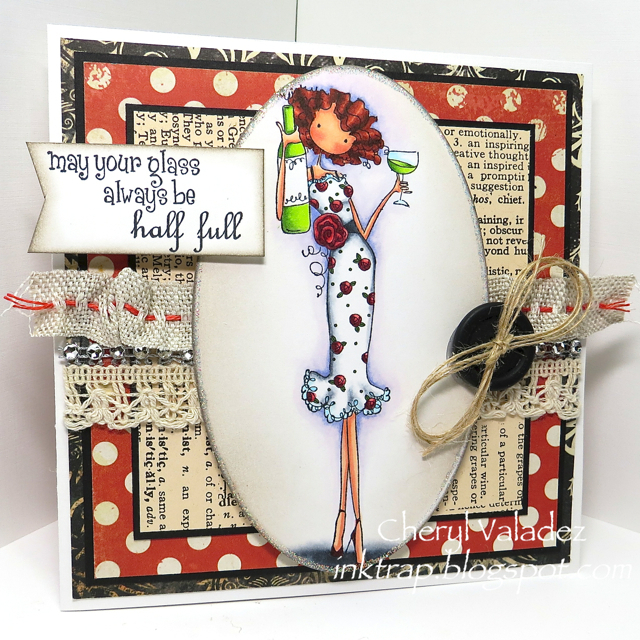 I decided to use Uptown Girl Opal the Optimist 'cuz she's a Glass Half Full kind of gal ;) You can find Opal in the Stamping Bella Shop. And while you're there visiting, be sure to stop by Blogabella for a full gander at what the DT is up to. Okey dokey artichoke, that's it for me. Until next time, stay crafty!